Celebrating 360 Years of Cape Wine! 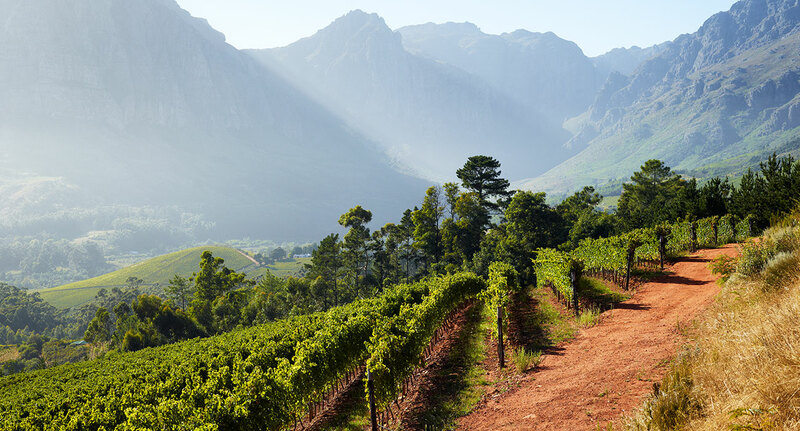 Did you know that 2 February 1659 marks the day when the first wine was made in the Cape! How do we know this? The first governor of the Cape, planted a vineyard in 1655, and on 2 February 1659, wrote in his diary: “Today, praise be to God, wine was made for the first time from Cape grapes.” As a ship’s doctor, he believed wine could cure scurvy, scourge of sailors of the day. So among his first tasks after arriving at the Cape in April 1652, was to plant vines. The harvest amounted to a mere twelve “mengelen” (about fourteen litres). Nevertheless, this small spark led to the planting of vines on a larger scale in the areas known today as Bishopscourt and Wynberg. As for the grapes? History tells us that they are what we used to call Cape Riesling or Crouchen Blanc. Whatever you call it, there is good claim that it is likely the oldest producing vineyards in the southern hemisphere. While most of the original vines were destroyed over time, Heritage Square houses a grapevine planted in 1781. Remarkably, this grande dame flourishes and still bears fruit! However, wine making by and large soon moved to Constantia, when Simon van der Stel succeeded the first governor, who planted a vineyard on his farm and made great wines from the outset. 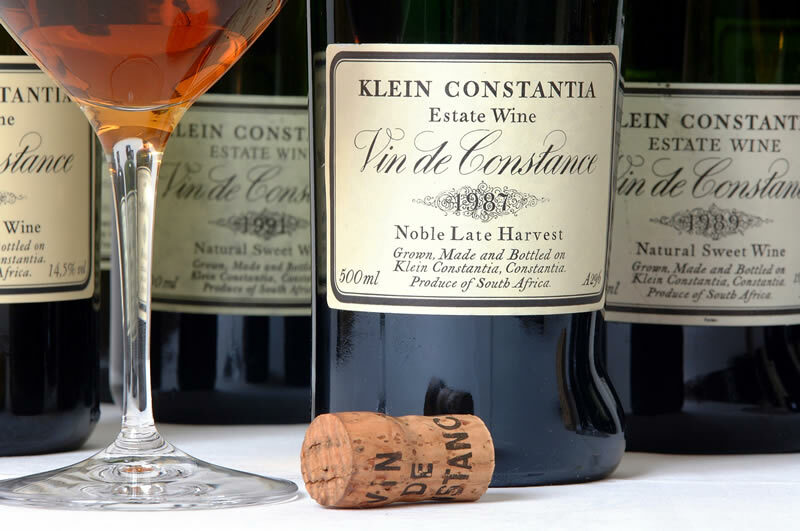 Indeed the dessert wine from Klein Constantia, now called Vin de Constance, quickly became world famous. Kings vied for it; Louis Philippe sent emissaries from France to fetch it; Napoleon drank it on the island of St Helena to find solace in his lonely exile. “The sweet, luscious and excellent dessert wine then called Constantia” soon became part of the literature of the 19th century. Charles Dickens tells of “the support embodied in a glass of Constantia and a home-made biscuit”, while Jane Austen recommends that her forsaken heroine try a little Constantia for “its healing powers on a disappointed heart”. Constantia is still mentioned today when we speak about the world’s finest wines. However, winemaking in the Cape extends to multitude of areas, including Franschhoek, Stellenbosch, Hermanus, Elgin and Botrivier. We make a fantastic array of varietals and are known for our excellence in everything from our deep Pinotages to our sparkling MCCs (made in the champagne method). While a trip out to one (or more) of our winelands is a must, you do not need to venture far to experience a taste of our city’s humble beginnings as a refreshment station. 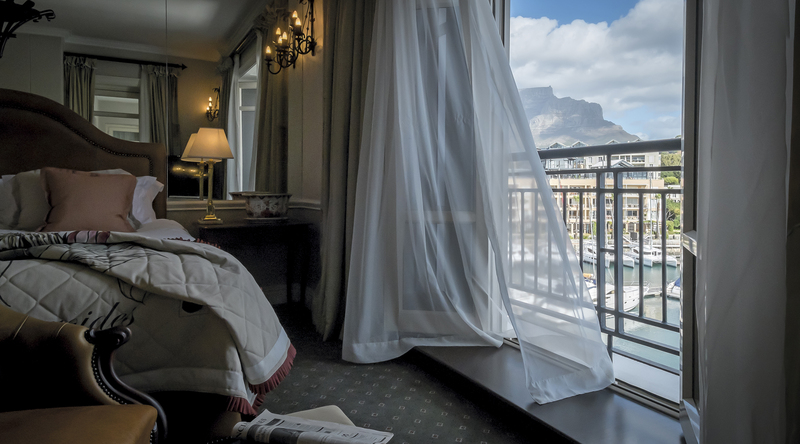 At Cape Grace, our interior decor is inspired by our multifaceted history. Each one of our rooms is unique, and might feature historic paintings, Cape antiques, or pieces inspired by Table Mountain, our position in the harbour, and the beauty of our indigenous fynbos. 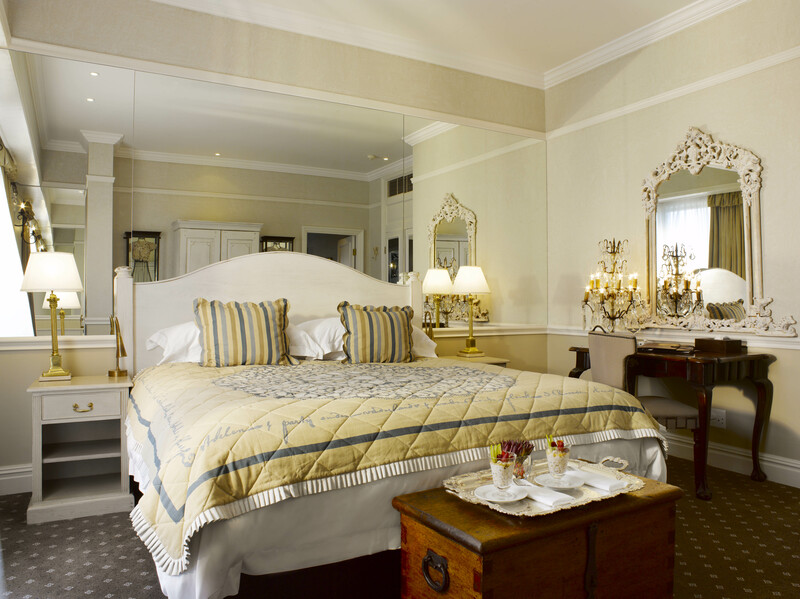 Three of our rooms are particularly relevant to the history of the Cape as a refreshment station. 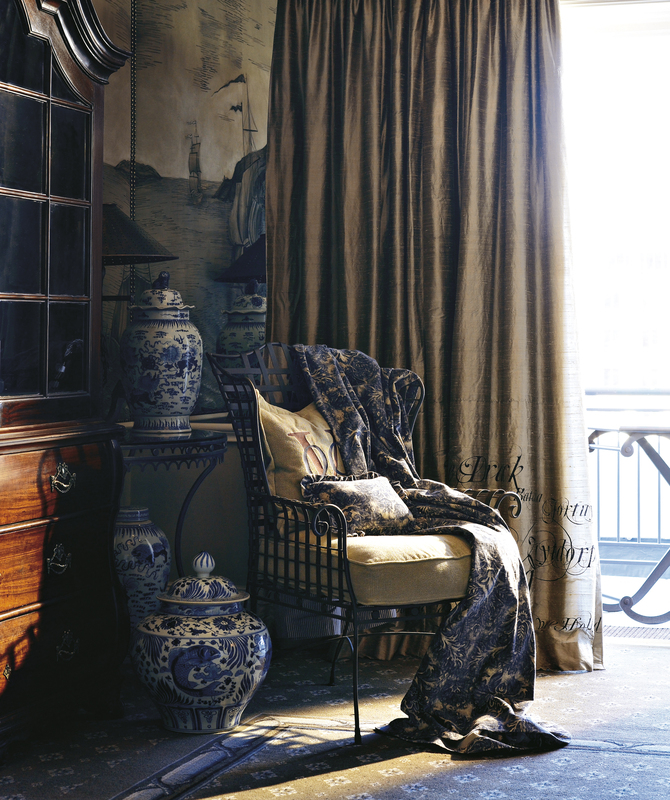 In the Company’s Garden Suite, the story begins on the curtains in the lounge area, where there is a reproduction of the VOC mandate given to the first governor of the Cape to create a refreshment station for the Dutch East India Company, dated 30 December 1651. 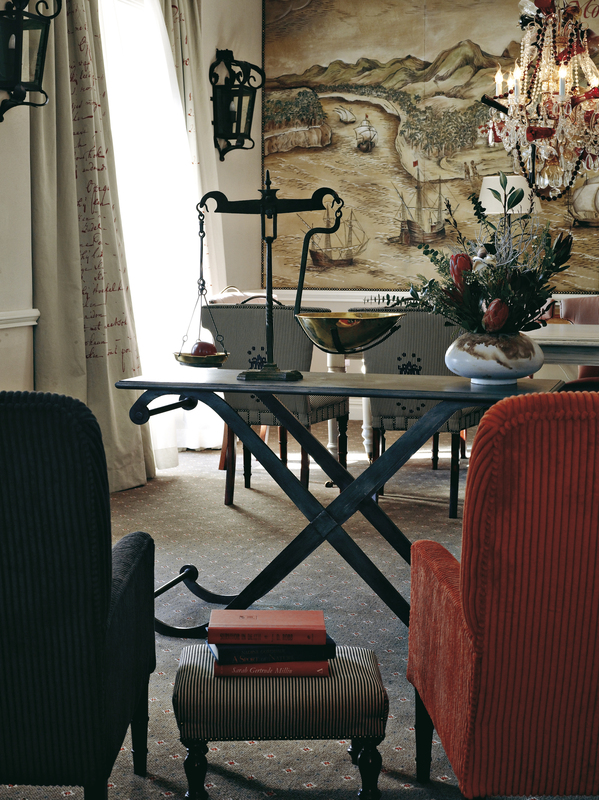 The tapestry in the lounge shows a bird’s eye view of the Company’s Garden, which is a reproduction of an etching created in 1719 by Peter Kolbe. Kolbe had been sent to the Cape of Good Hope with letters of introduction from Nicolas Witsen, Mayor of Amsterdam, for the purpose of compiling an all-round description of South Africa and for astronomical and surveying research. He lived and worked at the Cape from 1705 until 1713. Kolbe gives an exact and detailed account of all aspects of life at the Cape, including its geography, climate, flora and fauna. Citrus was a key part of the VOC plantings for the refreshment station, which they established at the Cape, and this is captured in room 229 or the ‘Lemon Bedroom’. Lastly, in room 230, the bedcover is a stylised layout of the Company’s Garden, with the broad strip carrying the scientific names of many of the Cape’s flora. Our wonderfully astute head sommelier, Marlvin Gwese, always has his finger on the pulse of our best and most promising wines. How might he mark such a historic occasion? 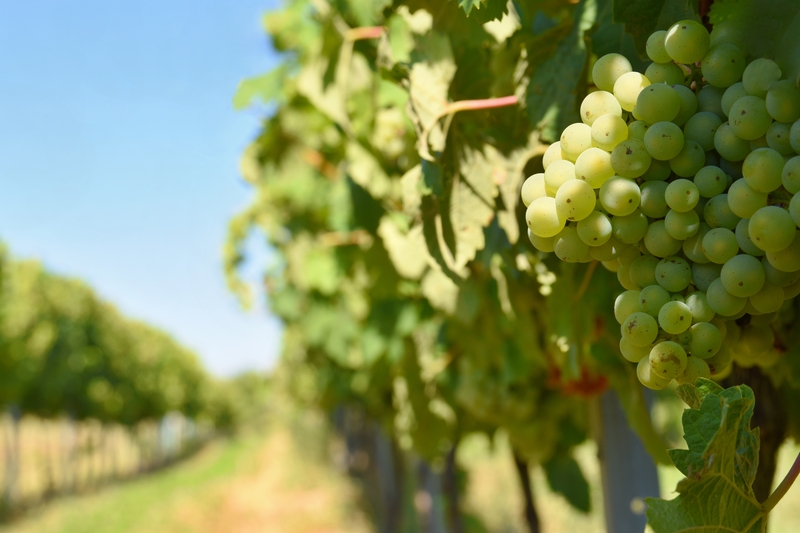 Sticking with the Constantia region, if it is something light and bright you enjoy, a glass of the Klein Constantia is recommended, but the Eagle’s Nest Viognier is also a top contender. As for the reds, again, the Eagle’s Nest Shiraz is one of our most frequently accoladed wines for a reason. 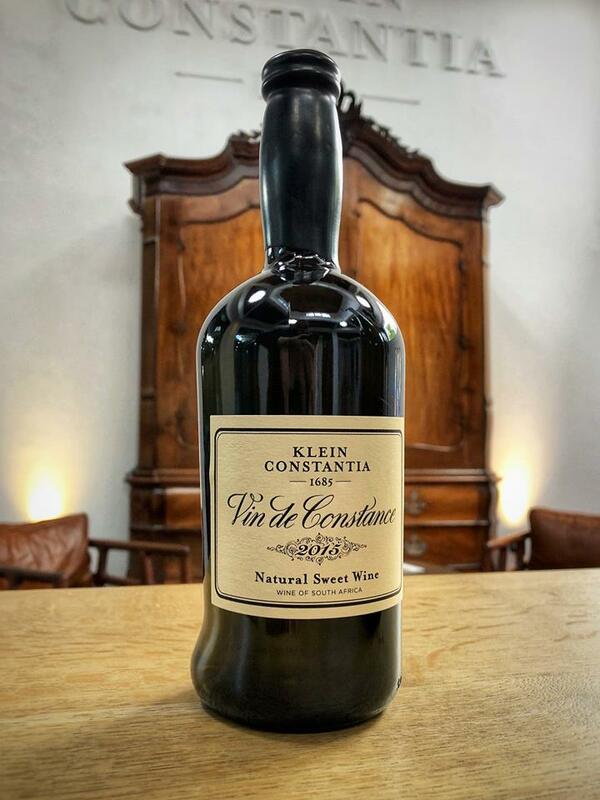 Finally, the king of the region, the Vin de Constance, makes an appearance on our Dessert Wines list, and we could not think of a better or sweeter way to toast to our Cape’s heritage and exciting future as a world-leader in wine. Cheers! Book your spot at Signal by visiting the website.